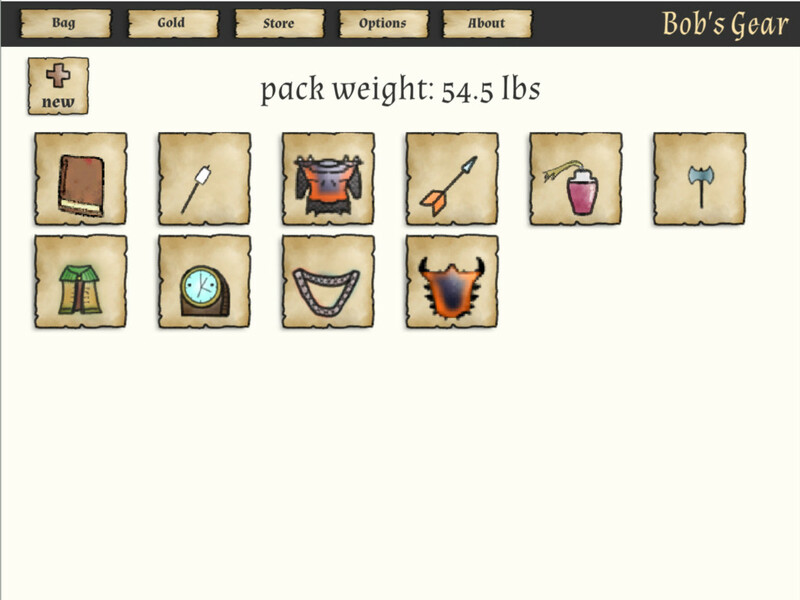 Easily manage your inventory, gold, & bag weight. Track gold in the coin purse. 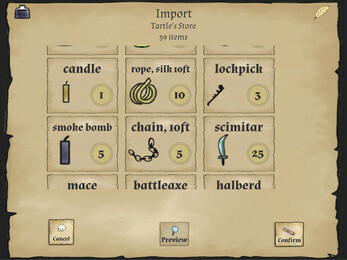 Use gold to buy basic gear and magic items. 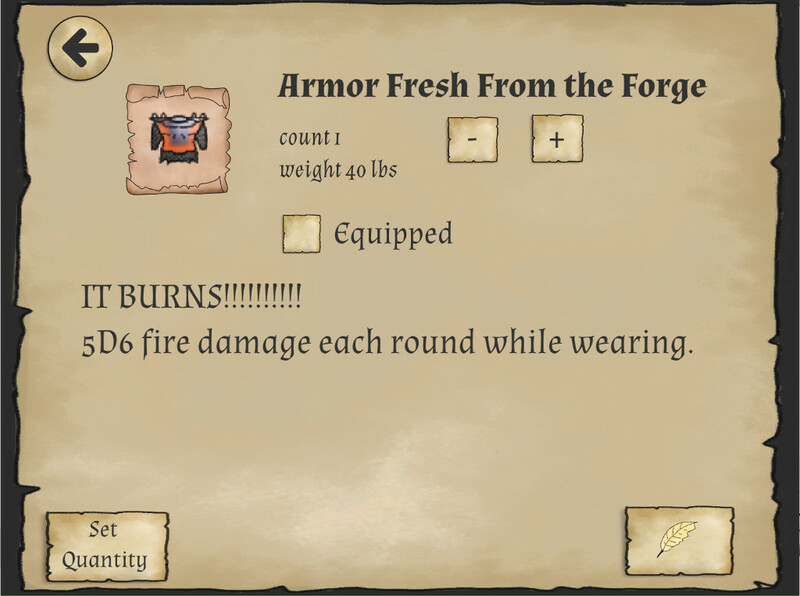 Easily edit and customize items by adding notes or detailed rules. Easily see how much weight you are carrying. 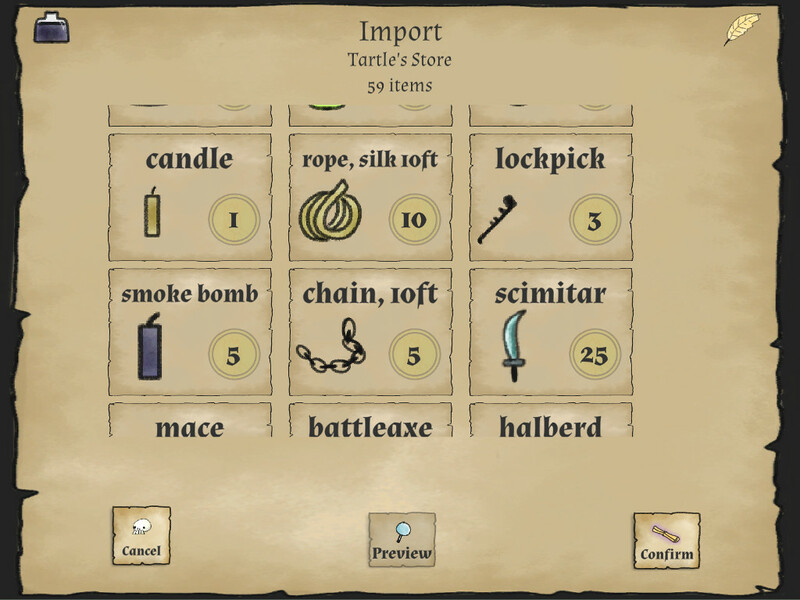 Export and import custom NPC stores for friends. Has three bags. Name each to stay organized. 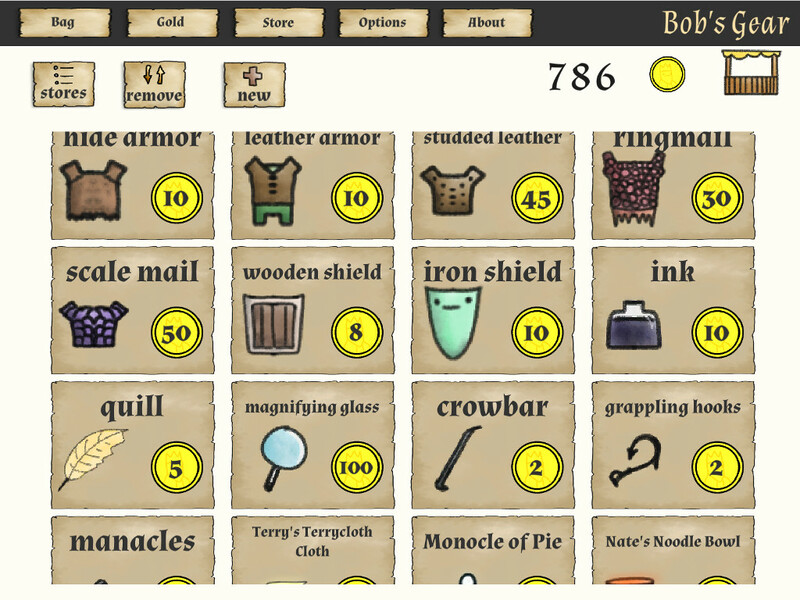 Toggle gold weight on or off. 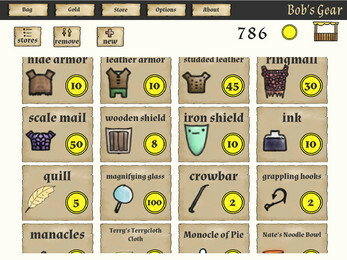 Bag +5 brings the convenience of an RPG video game's inventory into a unique utility that can be used while playing pen & paper role-playing games with the assistance of a device like a laptop or a tablet. 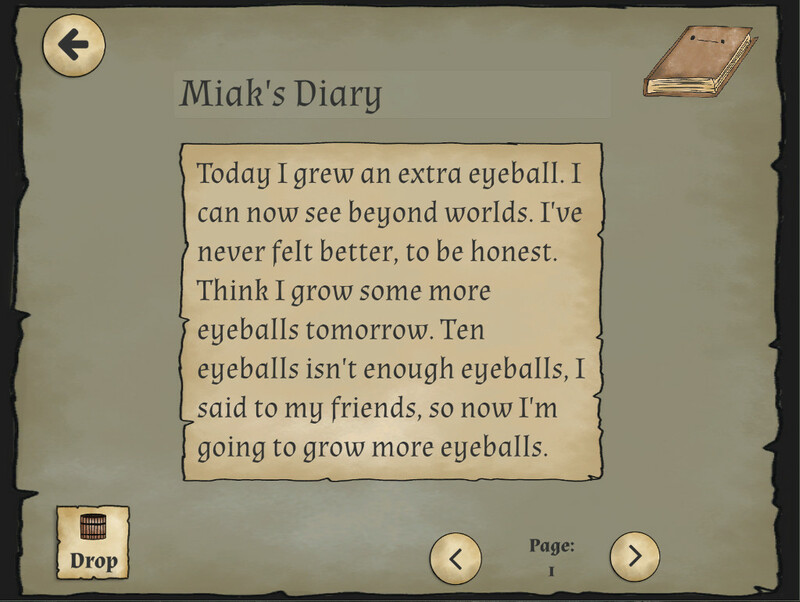 It is flexible enough to be used with many fantasy based RPG campaigns and the items can be customized to fit even homebrew rules. This is the PC Build of Bag +5. 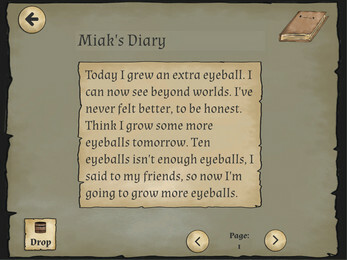 Everything was redesigned to work and be intuitive as a desktop application. This is the full application. There is no in-app purchase and you have immediate access to all the features (unlike the mobile version which requires a single in-app purchase to unlock the full app). The discussion board on this page is for posting exported store content. 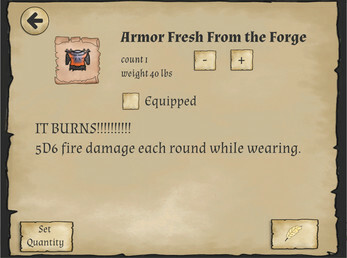 If you convert a rule system's items or create an interesting, unique store of loot, please post it in the discussion forum so that others can share in the fun.